It's just amazing. Some people spend thousands of dollars on the finest golf clubs made, yet they haven't a clue when it comes to selecting clubs with shafts that are right for them. To set the record straight, with the right shafts, you could add an additional 20 to 25 yards to your game as well as improve your accuracy. The shafts are golf clubs' engines, and choosing the right ones is just as important as selecting the club heads. Choose between graphite and steel shafts. When they were first introduced, graphite shafts were meant for beginners and intermediate golfers because they were considered more forgiving than steel shafts. More advanced players opted for steel. But that is no longer true. In fact, many touring professionals have made the transition to graphite shafted drivers, including Tiger Woods, because graphite shafts are lighter so more of the overall weight of a club is in the club face. And being lighter, graphite shafts allow you to increase your swing speed. But before you make the choice, try them out to see which works best for you. Pick shafts whose flex is right for your swing. Simply, flex refers to the amount a shaft will bend while you swing. If you choose the wrong flex, the club head will not hit the ball squarely which will have an impact on your distance and the trajectory of the golf ball. Although there are no standards established, there are 5 different levels of flex: Ladies, Senior, Regular, Stiff and Extra Stiff. If your drives carry less than 200 yards, you should probably have Ladies shafts, and if your ball carries between 200 and 225 yards, you should buy clubs with Senior shafts. Generally, if there is a doubt about which shafts you should have, choose the softer shafts. Factor in the weight, length and torque of the shafts when you are purchasing new golf clubs. The weight of a club is a matter of preference. 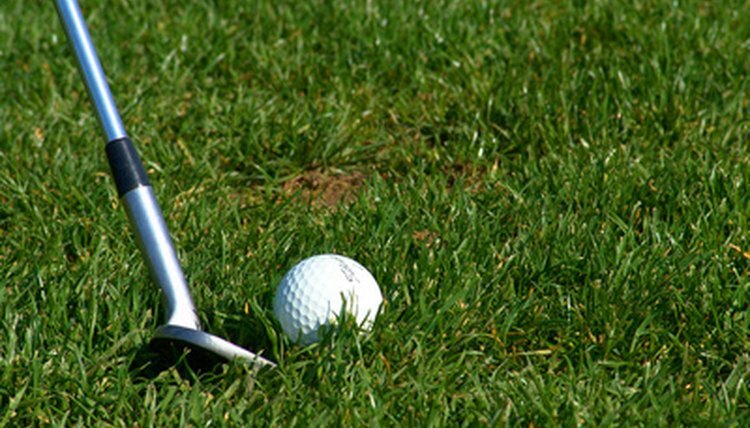 Generally, you can swing a club with a lighter shaft faster, thereby increasing your distance. But you most likely will sacrifice some accuracy. Length is also a personal matter, and clubs with longer shafts generally hit the ball further. But clubs with shorter shafts are easier to hit and are more accurate. A shaft with more torque will result in hitting the ball higher with more spin. Don't let your ego stand in the way. Some male golfers think it's more “macho” to have extra stiff shafts and longer clubs, even if their clubs are not at all right for their games. When you are purchasing golf clubs, look for shafts that will help your game, because you are likely to buy clubs that will help you lower your score and your handicap.